America’s game…A global spectacle of triumph and anguish. A grand pageant of violence and drama. And now with its first female superstar…a spectacular experiment that may change the world! 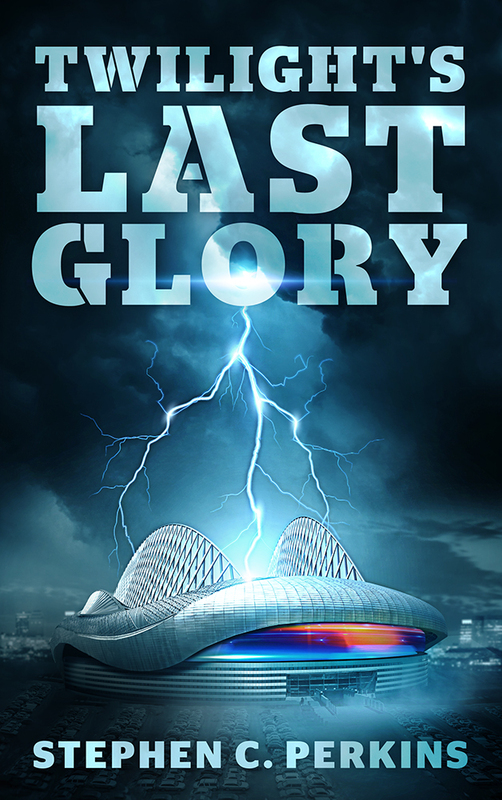 In a world secretly ruled by an organized crime pyramid with strange and mystical powers, crime lord Gigi Salerno is the sinister hand casting the ultimate fate of victory or defeat. But when a brilliant team doctor envisions future WFFL rosters filled out with AI, Salerno’s masters secretly decide he’s expendable. Now threatened by the intrepid ambitions of a young sports columnist determined to expose the Octagonal while faced with the covert maneuvering of a once trustworthy lieutenant as well the conflicted loyalties of an unscrupulous general manager, Salerno is confronted with a dilemma and, he may have to befriend one of his enemies to vanquish his double crossing masters. Will he survive long enough to capture what he secretly desires most: the reluctant affections of a beautiful woman? Imagine growing up thinking you are white and then finding out your real father is not. It is the year 1949, and twenty-four-year-old Marie Marchetti has just discovered the identity of her multiracial father, Jonathan Brooks, the father she never knew. Marie grew up in Chicago, the only child of a single mother, having had very little contact with people of other races, making her current situation more than just a little daunting. Marie hopes the invitation from Jonathan to spend two weeks with her newfound family over Thanksgiving will help uncover vital truths about herself that her now deceased mother had never shared with her. But the visit has potential for being disastrous, since Jonathan had only recently acknowledged Marieʾs existence to his wife of thirty-one years and their three grown sons. Discovering her father also means discovering her own ethnicity. Despite Marieʾs olive skin, nut brown eyes, and dark wavy hair, she has easily and unknowingly passed for white her entire life. Her strong need to understand who she really is and where she belongs drives her to form an intimate connection with her new family, transcend the prejudices of friends and strangers, and seek peace and truth in her life. I hope what I do is create memorable characters who are faced with interesting and unusual adversity that a hundred other authors haven’t already tackled. I tend to write about conflict that isn’t easily resolved. I devote much of my website to new authors, giving them advice I wish I had received before I started writing my first book. The most basic and important advice I have for aspiring writers is to read other authors’ books, decide what they did well, what didn’t do so well, and learn from them. My second piece of basic advice is if you have a passion for writing, don’t get discouraged by anyone or anything. Passionate writers have great potential for being successful. After more than three decades of working in corporate America, I retired to write books. I earned my master’s degree from Lake Forest Graduate School of Management. I currently reside in Chicago where I am enjoying all the things this great city has to offer and (of course) reading and writing. 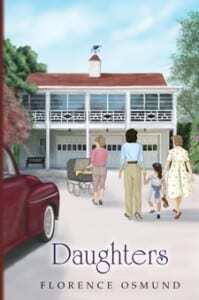 “Daughters” is the sequel to my first novel, “The Coach House.” Real life people, events and things I’ve observed over time inspired me to write both books. The underlying theme in the story is the protagonist’s questionable ethnicity and the cultural problems it causes. I’ve never understood racial prejudices, and I purposely created a character who tries to show how inexplicable they really are.